Visit Story's profile on Pinterest. If you need information about how to activate Java in your browser or information about other options than Java to browse Movie On, please go to this post. 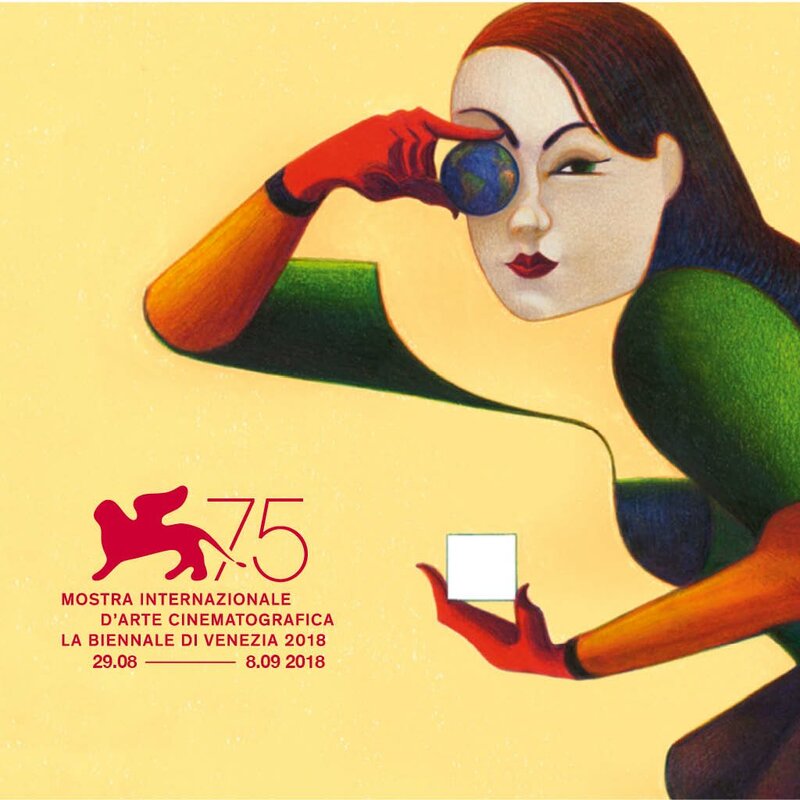 As was not easy to gather info about films countries submitted to Oscars 2019, decided to do the two missing posts about the 2018 Biennale as it's a lot easier to check info from only one source. This is the lineup, the second will list the award winners. Let's start by sharing that the festival poster was made by Lorenzo Mattotti. Mattotti says the following about his design, "I believe that a poster must have something intriguing about it, that attracts the eye, that attracts thought, but without revealing too much. It needs to have a sort of enigma, a sort of mystery to solve. After various attempts, I developed this idea of a girl of this female character – with a very graphic, unrealistic face – who looks with a rather serious expression through a lens. And instead of this lens, there’s Earth, planet Earth, symbolizing a gaze directed at us. Then there is a white square, and I believe that this combination is a successful match, because people wonder: what is that white square? I believe it is natural to think of it as a movie screen, the white screen. The gaze directed on the planet, directed on reality, must pass through this device, must be filtered through the screen". The festival run was from August 29 to September 8, 2018. A selection of works of different genres, lengths and targets. The section may include art-house and genre movies, experimental and artists’ films, TV series and crossover productions. An advanced training workshop for the development and production of three micro-budget audio-visual works, open to teams of directors and producers from around the world. A maximum of 30 world-premieres or international premieres of VR Immersive Stories of any length and of any VR format.